Keeping track of the latest marketing trends, 60% of people prefer online video platforms to live TV. What does this mean for local roofing contractors? It means to pull the investments from your local TV advertisements and redistribute the money towards a YouTube strategy. By 2025, 50% of users under age 32 will not subscribe to a paid television service. The time is now to shift your attention towards on-demand video content, and YouTube is the most accessible and efficient place to start. The first step in the process is market research. Using Google AdWords and other SEO tools, roofing contractors can develop a list of video keywords to target on YouTube. Video keywords usually correlate pretty directly with standard keyword research. Pay special close attention to “How To” keywords. For example “how to repair a shingle roof” would be a high potential video keyword. Perhaps the most important element to your YouTube strategy will be defining an audience. Depending on how long you’ve been in the business, you should have some pretty solid data on your target audience and how to appeal to them. In the case of video, the target demographic is going to be 18-49 year old’s. While that does not make up all of your potential customers, the 29-49 range will certainly make up a large portion of it. As with any marketing venture, your goals must be measurable. Define some goals that you aspire to accomplish through video marketing. Perhaps it’s a sales oriented goal like percentage of customers gained per marketing dollar. Or maybe it’s more about brand awareness with metrics like total views and impressions. In any case, write down your goals and make them measurable. To produce an optimal video marketing campaign, you should place a timetable on the implementation of your strategy. This can be something like 1 month, 3 months, over even a year. The time limit is important for both accountability and measurement purposes. Projects that lack a defined time period often tend to be put off in place of higher priority activities. Make this one a priority by defining a roll-out period. Most newer phone models record fairly high-quality video. The main hurdle will be the sound quality. Consider investing in a camera microphone like the Lavalier Lapel Microphone which only costs $20 on Amazon. This mic is considered perfect for YouTube videos as it can clip right onto the subject of the video. For only $20 your potential ROI will be outstanding when you consider the potential marketing returns from your video content. After you record some videos you will have to upload them to YouTube. 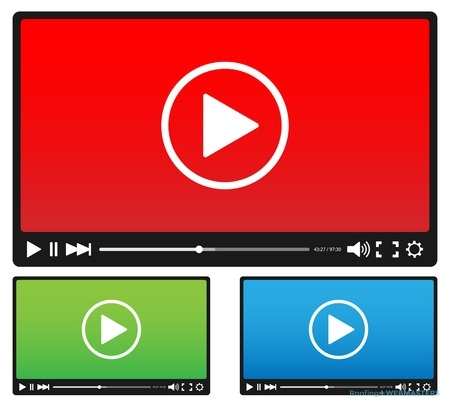 Creating a video channel is a simple task but you must optimize it for search. Use the keyword list you generated in Phase 1 and apply them to your tags, metadata, and description. In addition, upload your company logo, and use it as a watermark on your videos. Remember to upload custom thumbnails for your videos as well. YouTube makes it simple to measure data by offering YouTube Analytics for all users. Check out the YouTube Analytics basics to learn how to generate reports for your videos. The wide array of available metrics, from traffic sources to watch time make consistent improvement a very realistic option for content creators. You can even check out the demographics of your viewers to better define your market reach. If you require assistance with your YouTube strategy for roofers, call Roofing Webmasters at (800) 353-5758.